Pashupatinath Temple is one of the biggest and most sacred Hindu temples of Lord Shiva in the world. It is located on the banks of the Bagmati River in the eastern part of Kathmandu, the capital of Nepal. Pashupatinath Temple's existence dates back to 400 A.D. With its astonishing architectural beauty the temple stands as a symbol of faith, religion, culture and tradition. The beautiful richly - ornamented pagoda styled temple house the sacred linga or halilic symbol of Lord Shiva. Thousands of pilgrims from all over the world come to this temple all round the year to pay respect to Lord Shiva. Pashupatinath temple is also know as "The temple of Living Beings". The temple is famous for its awe-inspiring and astounding pagoda architecture. The two level roofs of the temple are embellished with gold and the four main doors are silver.. The western door has statue of a large bull ornamented in gold, Nandi. This black stone idol, about 6 feet height and circumference adds to the beauty and charisma of the temple. Believers in Pashupatinath. mainly Hindus are allowed to enter the temple premised. Non - Hindu visitor are allowed to have a look at the temple the opposite bank of Bagmati river. 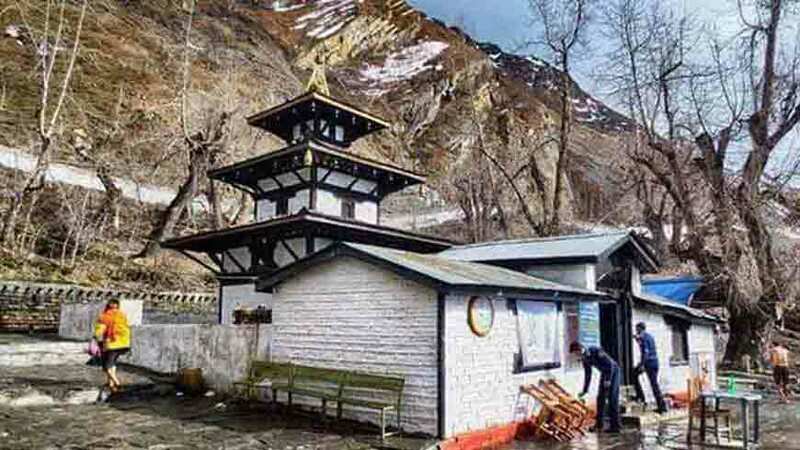 Pahupati area is regarded as one of the most important pilgrimages by the followers of Hindusim. Thousands of devotees from with in and outside the outside the country come to pay homeage to Pashupatinath every day. And on special occasions like Ekadasi.Sankranti, Mahashivaratri, Teej, Raksa Bandhan, Grahan (Eclipse) Poonrinma (Full Moon day) the whole atmosphere turns festive and mirthful as people congregate here in a far greater number. During the Shivaratri festival Pashupatinath temple glows with lights of ghee lamps glows throughout the night and the temple remains open all night. Thousand of devotees take ritual baths in the Bagmati river on the day of the festival and observe a sages from different parts of Nepal and India come here on the occasion of Maha Shivaratri. In August, during the Teej festivl, thousands of women holy waters of the Bagmati river because this ritual is meant to bring a long and happy marriage, many women dress in red saris, which are traditionally worn for wedding ceremonies.Full moon and New moon days are also considered auspicious to visit the temple. 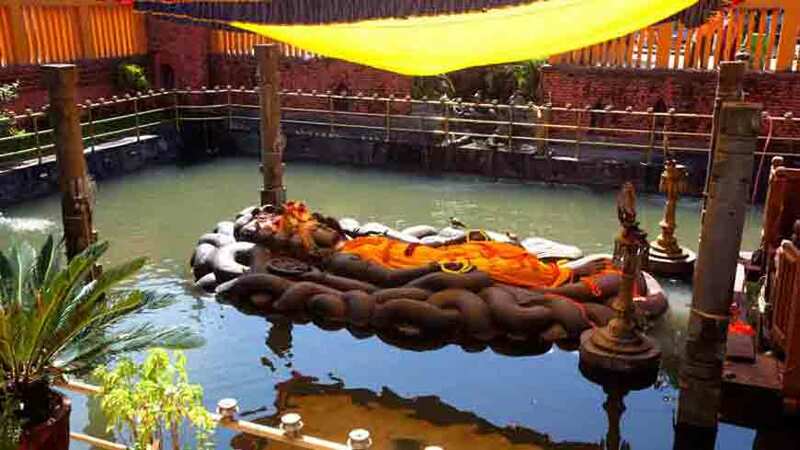 There are many legends describing the existence of the temple of Lord Pashupatinath. The Cow legend states that once Lord Shiva took the form of an antelope and sported unknow in the forest on Bangmati river's east bank. The gods later caught up with him, and grabbing him by the horm forced him to resume to his divine from. The horn broke and people started to worship it as alinga but overtime it was buried and lost. Centuries later, one day a cow boy found one of his cows showering the earth with milk. Digging deep at the site, he discovered the divine linga of Pashupatinath. According to the Devalaya Legend Pashupatinath Temple was in the form of Linga shaped Devalaya before Supus Padeva cosntructed a five storey temple of Pashupatinath in this place. As the time passed, the need for reparing and renovating this temple arose. 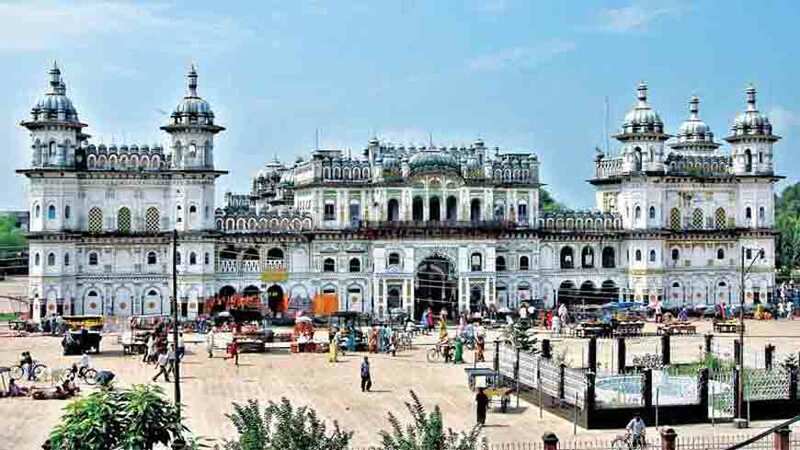 It is learnt that this temple was reconsturcted by a mediaeval King Named Shivadeva (1099-1126 AD) It was renovated by Ananta Malla adding a roof to it. 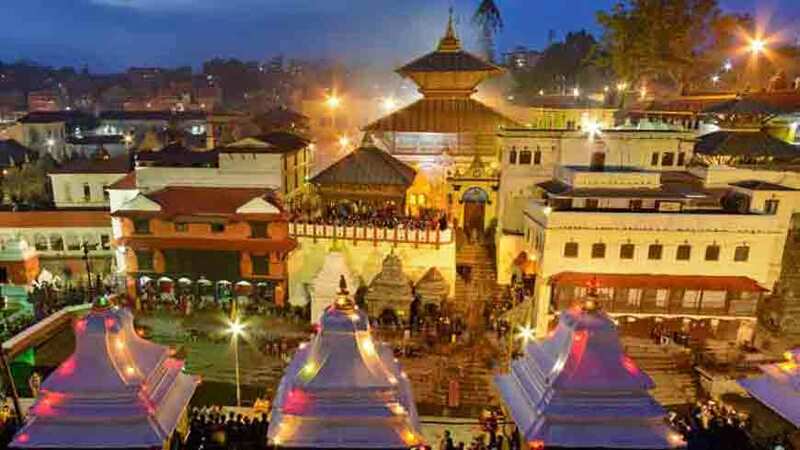 SHIVA RATRI FESTIVAL: During the Shivaratri festival Pashupatinath temple glows with lights of lamps throughout the night and the temple remains open all night. Thousand of devotees take ritual baths in the Bagmati river on the day of the festival and observe a sages from different parts of Nepal and India come here on the occasion of Maha Shivaratri. TEEZ FESTIVAL: In August, during the Teej festivl, thousands of women bath holy waters of the Bagmati river because this ritual is meant to bring a long and happy marriage, many women dress in red saris, which are traditionally worn for wedding ceremonies. FULL MOON: Full moon and New moon days are also considered auspicious to visit the temple.